Controlling your project scope is one of the most important things we can do as project managers – but so easy to let slip. 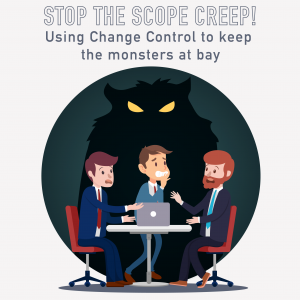 Don’t let Scope Creep sneak up on you! In this episode we talk about scope creep and discuss ways to keep your scope on track – and how to handle it if your scope needs to change. We love to hear about your tough PM issues, so please hit us up at podcast@pmhappyhour.com or on Facebook at facebook.com/pmhapyhour and we’ll see if we can help you. If we use your question, we’ll send you a PM Happy Hour coaster you can enjoy at your next happy hour. It's Happy Hour in 23 countries now! This topic contains 0 replies, has 1 voice, and was last updated by 8 months, 2 weeks ago.